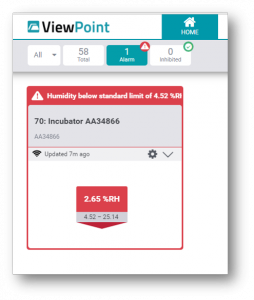 Mesa’s ViewPoint Continuous Monitoring Software not only monitors temperature, but is everything you have been waiting for, incorporating innovative design with user-friendly features to make continuous monitoring easier than ever before. 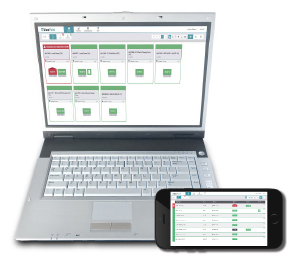 ViewPoint Software is as effective as it is user-friendly. 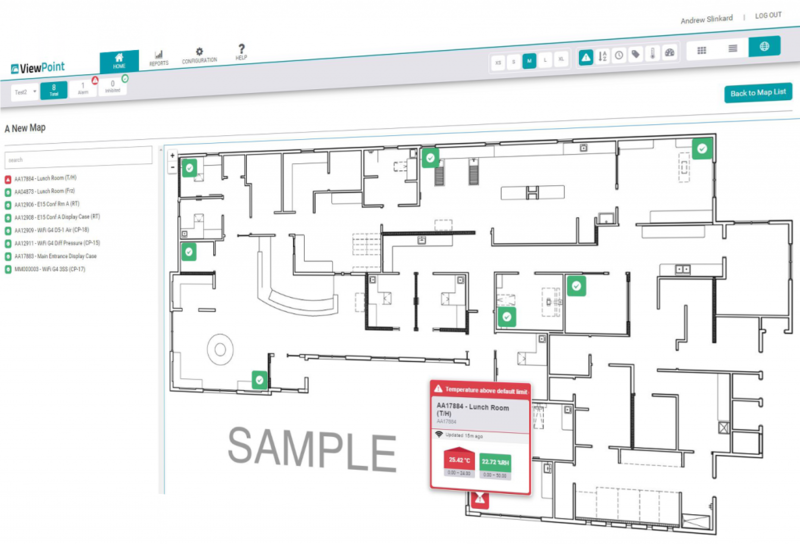 The interface allows you to view all of your assets on one or several floor plans with visual representation of your assets as well as the ability to view your inputs in a tile or list view. ViewPoint has advanced versatility and can be used remotely. If you have internet capability, you will be able to access the software anywhere, at any time, even from your networked tablet or smart phone! You may also publicize the url in order to access the software from an off-network device. 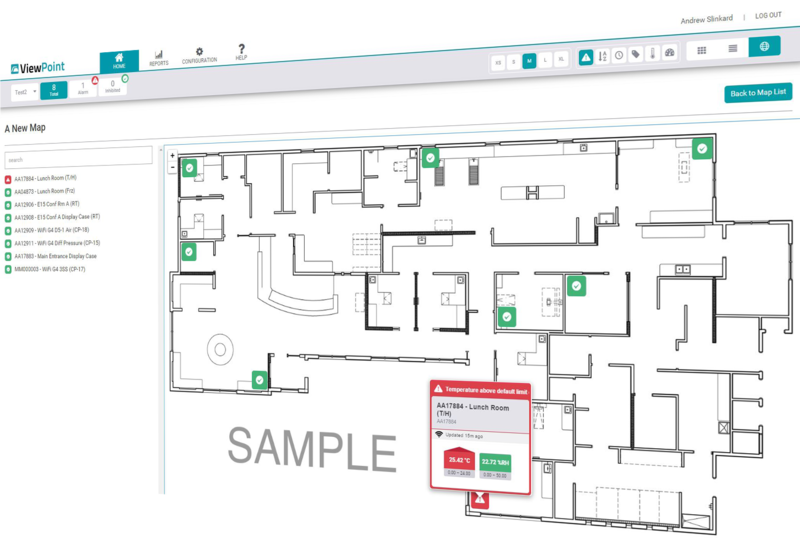 With ViewPoint, you have the ability to import floorplan maps and overlay assets to their locations with an easy to use drag and drop function. Always know where your assets are, so you can easily find them and react quickly. Filters may be utilized to quickly view alarming assets or inputs specific to groups of assets. 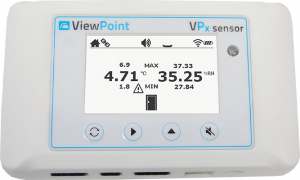 With an optional LCD display, ViewPoint’s VPx sensors help you meet the CDC’s Vaccines for Children functional requirements while offering extended battery life, line-powered options, and local alarming and muting. We have also enhanced the calibration functionality. ViewPoint now supports single and multipoint calibrations (3 or more points). Multipoint calibration results in linear regression allowing for the calculation of slope and intercept from the available pairs, which allows for a more precise calibration over the range of the sensor. 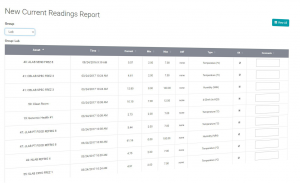 With automated reporting and the ability to export reports to either pdf or Excel®, ViewPoint offers a host of built-in reports to assist you with data management and creating a defensible audit trail. Drill down into the details on a per asset basis and utilize the reporting verification approval workflow to simplify your processes. 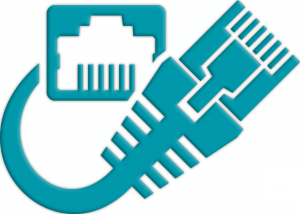 The VP Connect allows existing clients to continue adding on to an existing hardwired system or offers a powerful solution to meet your temperature monitoring needs. The new unit’s enhanced processing capabilities can handle from 32 to 44 sensors and has larger memory storage capacity. With a minimum of 14 days of logged data points at a 15 minute scan rate, you can rest assured knowing your VP Connect has you covered. The ViewPoint system also exists as an alarming system to alert the users of any readings that are outside the programmed acceptable range for that particular appliance being monitored. ViewPoint will email and/or text message notification of an alarm state to the users day or night. Multiple email addresses, cell phone numbers and alarm notification lists can be utilized, providing the client with the best line of defense against any issue regarding valuable product. Security for user limitations is also one of the many features found in the ViewPoint software. In addition to offering the convenience and security of active directory, users can be programmed into the system as administrators, group administrators or users, all with different levels of access to the ViewPoint system. Mesa’s ViewPoint temperature monitoring system provides you the tools needed to allow you to achieve and maintain compliance. With built-in FDA 21 CFR Part 11 functionality, NIST traceable calibrations performed in Mesa’s accredited ISO 17025 calibration laboratory and available IQ/OQ/PQ services and documentation, Mesa is the ideal choice to ensure your system and your facility is compliant with FDA, AABB, TJC, CLIA, CAP, DHS, USP 797, HACCP and AALAS. View the ViewPoint spec sheet to learn more. Mesa is an ISO 17025 Certified Calibration Laboratory. Mesa has temperature monitoring systems in place all over the globe. We have an extensive, nationwide network of technicians and consultants to assist you in every step of the way. Serving Hospitals, Blood Banks, IVF clinics, Pharmaceutical manufacturers and compounders, universities, clinical labs and R&D facilities, Mesa can customize a solution to suit your unique needs and challenges. ViewPoint is compatible with Current G3 and G4 CheckPoint Hardware. You can upgrade to the newest software we have available, while keeping your existing hardware and preserving your previous investment! The migration brings over all of your existing equipment, User Accounts/Logins and E-mail addresses by querying the current CheckPoint database. There will be a display that confirms the record count of items that have been brought over from the CheckPoint system. This makes moving from CheckPoint to ViewPoint virtually seamless! 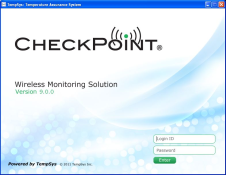 Ready to Talk Temperature Monitoring Systems?